Another episode is up. 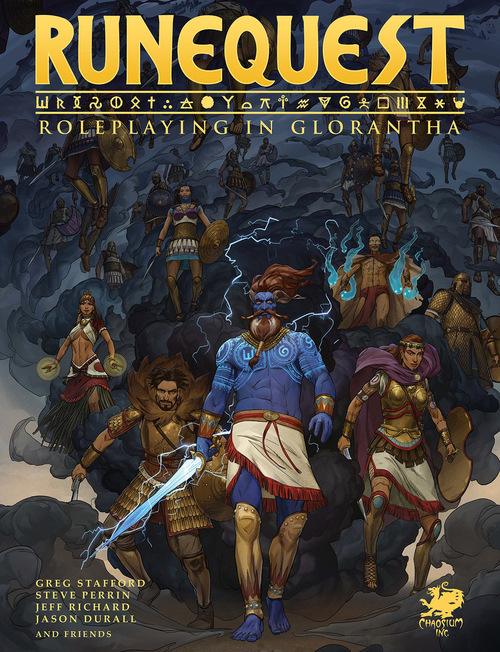 Yeah, there’s call-ins, rant on the Little Brown Books and the bulk of the episode is my thoughts on the new Runequest. You can give it listen here. And yes. It’s a longer than usual episode. Yep. House Rules. They’re like in every recipe you read. Season to taste. My philosophic rambles I’ll put in the Playing It Wrong Podcast. As mater of fact, here’s Episode 28: House Rules: Season To Taste. But then you’re here on the blog to read. So a reading you shall do. I’ve come up with a couple more house rules for my White Box campaign. Why are you cool? 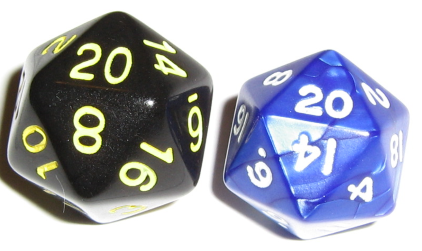 Each player character gets a +1 bonus to something specific (HP, Attack, Save, AC, etc) or an extra “skill”(Roll 1d6: 1=1 in 6, 2-5=2 in 6, 6=3 in 6). Talk it out. Up to GM approval. Just a little boost to make the player characters been more special and customized without being overpowering. Death & Dying: Save or Die=Dead. Level drain and so. Still dead. If “Normal” damage takes a character to Negative CON score HP then dead. Otherwise the character is at 0 HP. Make a System Shock check*. Failure means the character is dead. If successful then character then the character is still alive but will bleed out in a number of rounds equal to the number rolled on the System Shock check. * System Shock: That’s in the Version 1 of the house rules. Here’s the quick version. X in d6 Chance based on character’s Constitution score. I haven’t done a review in a long time but I got a request for a review of these on the podcast. Speaking of which, if you really don’t want to read this I say basically the same thing in Episode 27 of Playing It Wrong. Of course, there’s my rambling aside on the podcast and pictures here so check out both. You’re sort of getting a twofer here. In odd way, I sort of have a history with these. 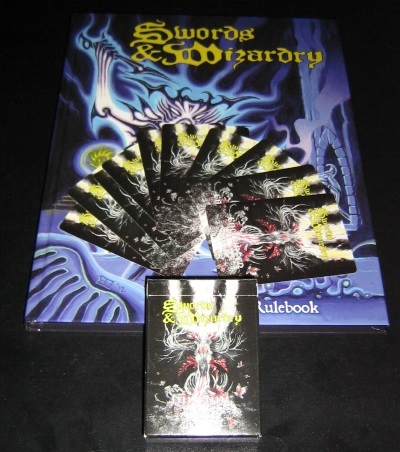 Way back when Frog God did the Kickstarter for Swords & Wizardry Complete (Note: The Otus Cover), I backed it. I got all sorts of stretch goals. Character sheets, adventures, and even a set of dice. And a bunch of PDF’s. I didn’t back for hard copies of the decks at the time. Instead I took the PDF’s and printed them out on my old and really crappy printer. Let me put this way, we didn’t stop using until HP stopped making ink cartridges for it. Yeah, we’re that cheap. Fast forward to present day. 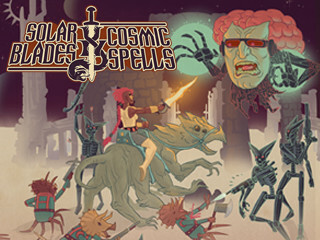 I hit up the 5E Humble Bundle and part of it was a coupon for Frog God’s store and I was and still am planning on doing a White Box campaign. So I figured that would be a good use of the coupon. Here’s what I ordered: Encounter Decks I and II (54 Cards each); the Treasure Deck (52 Cards) and the Hireling Deck (36 Cards). As you can see above, they have the later cover. No biggie. Also, as compared to the PDF there isn’t a graphic (although same graphic) on the usable side of the card just the text. This isn’t complaining just facts. OK, let’s talk about the physical product. First, you’re going to need sort of alternate storage solution. The larger decks just won’t fit back into their boxes. No problem there. I had couple sitting around that I have no idea why I bought in the first place. So yeah. They are cards. Plastic coated with a lighter card stock. I don’t know the technical specs but it does feel thinner than a high quality deck of standard playing cards. And yes they are the same size as standard cards not poker sized. So how useful will they be at the table? Pretty darned useful mostly. The Hireling Deck will probably see the least amount of use. It’s handy for the good old “Who’s in the bar..” type encounter. But if you’re looking for a specific type, it’d probably be just as easy to make it on the spot. But it is a good source of ready made NPC’s that you may or may not tweak to your individual needs. The NPC’s have their ability scores, vocation, equipment, a quirk, a wage, name, race and gender. The Hireling Deck also includes Dogs In The Dungeon in case the players want a canine hireling except for the cow. The Encounter Decks and The Treasure Deck go together in my mind as a pair that is really useful in tandem. The Treasure Deck contains ready made treasure hoards. Not amounts but also how they are stored. And there’s all sorts of odd ball treasures too like a 1,600 lb copper nugget, or standard adventuring gear or even magic items. The Encounter Decks are just that Encounters. Most just aren’t 1d6 Orcs. It can be more of fleshed out encounter like a party of monsters or adventurers. And yes there encounters that are individual monsters. But the mutli-type monster ones are more interesting. In true OSR fashion, the Treasure and Encounters are not scaled for the any character levels. So what you draw is what you get. A quick guess on my part is that most encounters would be fatal to a 1st level party but a party hitting about 3rd or so should be able to deal with most of them. 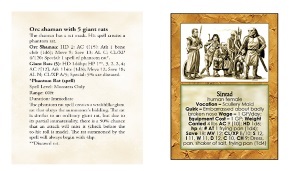 I should also mention that the encounter cards do contain the monsters’ stats so no flipping through pages of the book. Do I recommend them? Yep. Will they be useful for a GM? Yep. Heck, you could go thru the decks and put together a dungeon real quick and populate with monsters and treasure. Random encounters that are more than just a monster on the chart. Check. 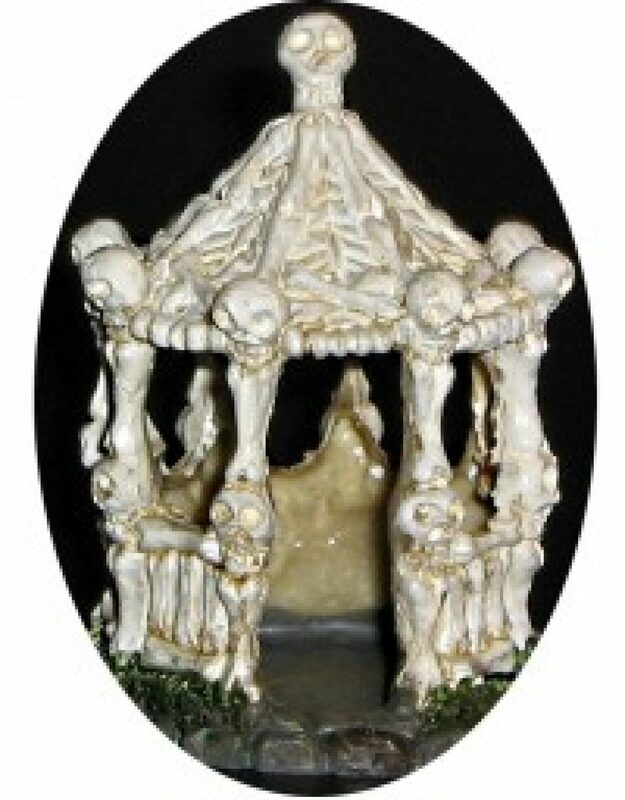 You can pick these up at Frog God Games site.